KaosGL released a press statement regarding the ongoing bans against LGBTI+ demonstrations and assemblies, drawing attention to hate speech in the media, discrimination against LGBTI+ individuals in employment, and increased impunity against hate crimes. (Read the statement through this link.) KaosGL has also published an ad celebrating the day in the national dailies Birgün and Evrensel, as seen on the featured image of this article, raising the rainbow flag in print media. The ad reads: “Happy IDAHOBIT, with wishes for equality and freedom!” Yıldız Tar from KaosGL also attended the panel organized at the Dutch Embassy in Ankara, together with Gökkuşağı Aileleri Grubu and Maruf, an association from the Netherlands. SPoD (Social Policies, Gender Identity and Sexual Orientation Studies Association) organized a week-long celebration of IDAHOBIT. On May 19th, SPoD hosted a discussion with gaycities.com editor and independent journalist Tony Taylor, and on May 17th the association held a panel at the Istanbul Consulate of the Netherlands together with activists Simon Timmerman from COC (Netherlands) and Ida Ali Lindqvist from RFSL (Sweden), where participants shared their experiences in LGBTI+ activism. On May 20th, SPoD called everyone to join a picnic at Maçka Demokrasi Park to strengthen solidarity and to unwind a little. 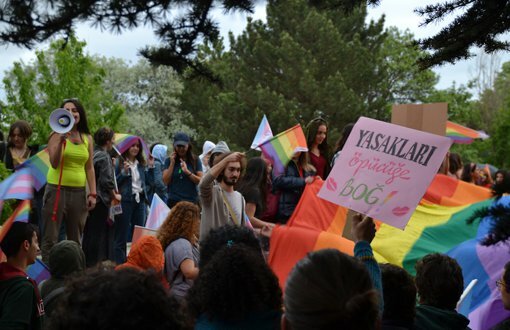 Bursa Özgür Renkler Derneği (Free Colors Association) welcomed IDAHOBIT 2018 with various events, including a training session on May 7 at Uludağ University; a gathering to recruit new volunteers on May 16th; and a special forum titled, “Civil Society Gathering for Sexual Orientation and Gender Identity Equality” on May 17th, bringing together 13 civil society organizations. BİZ Sexual Orientation and Gender Identity Studies Association organized a film screening followed by a panel to honour the day in Antalya. 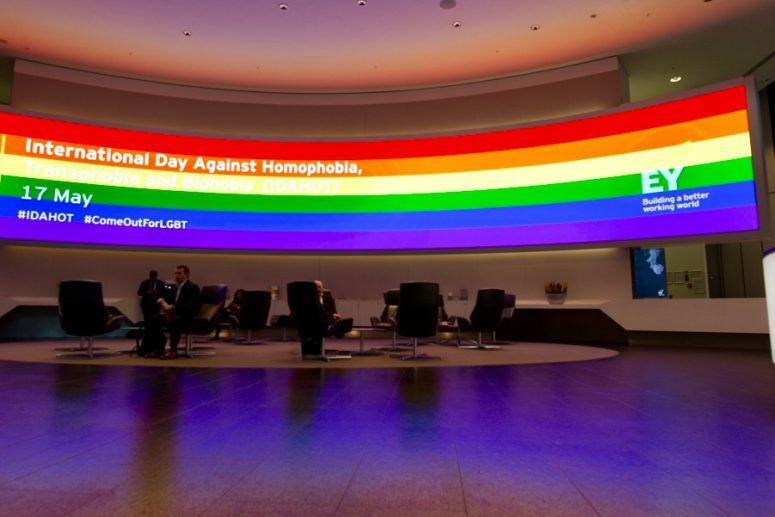 Several local governance bodies and foreign embassies celebrated IDAHOBIT as well. While the Belgian, German, British, Danish, Dutch, Swedish and Canadian embassies hung the rainbow flag on their building, Ankara’s Çankaya Municipality, İzmir Metropolitan Municipality Women’s Studies Directorate and Şişli Municipality celebrated by sharing solidarity messages. 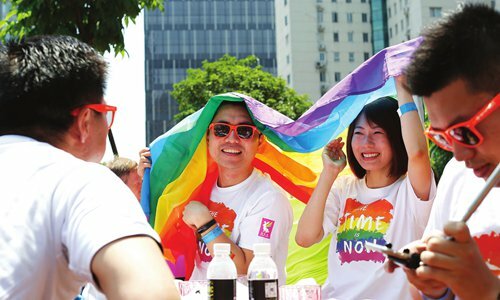 The Union of Education and Science Labourers and Confederation of Public Employees Trade Unions did not forget to support the struggle against homophobia, transphobia and biphobia and shared social media posts demanding an end to discrimination. Amnesty International Turkey posted special illustrations for IDAHOBIT 2018 with the captions “Love is a human right!”, while Human Rights Association (İHD) reminded social media users that LGBTI+ rights are human rights in their solidarity message. Publishing houses were also among those who shared messages of solidarity for May 17th. Ayrıntı, Sel and Notabene publishing houses, known for printing LGBTI+ literature, honored the day through their social media accounts. LGBTI News Turkey, compiled this article from articles published on our website KaosGL.org. 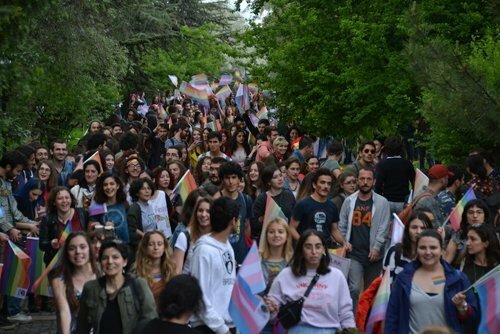 With the slogan, “Ban the bans,” the 8th METU LGBTI+ Pride Parade was held with the participation of hundreds of students at the campus of Middle East Technical University (METU) in the capital city of Ankara on May 11.